The outcome of any interspecific interaction is often determined by the ecological context in which the interacting species are embedded. Plant ontogeny may represent an important source of variation in the outcome of ant–plant mutualisms, as the level of investment in ant rewards, in alternative (non-biotic) defenses, or both, may be modulated by the plant’s developmental stage. In addition, the abundance and identities of the ants involved in the interaction may change during ontogeny of the host-plant. 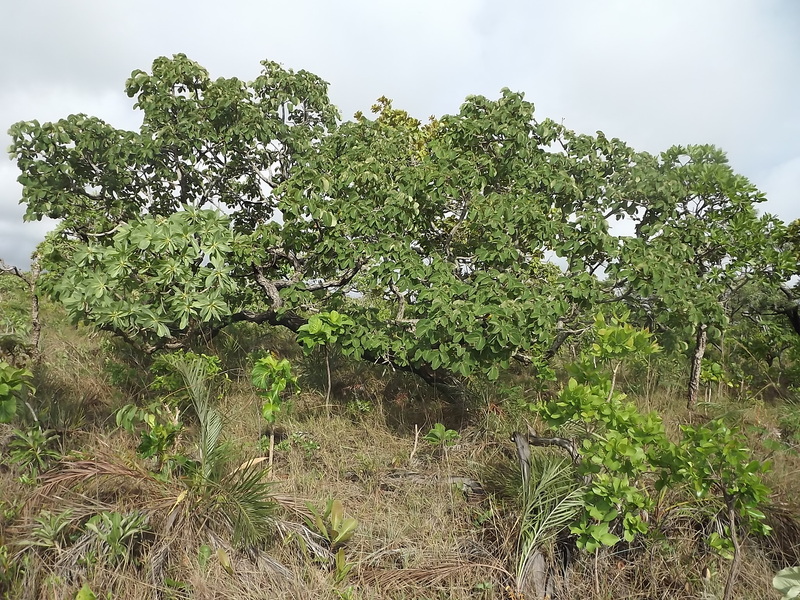 Here, we evaluated if plant ontogeny affects the interaction between ants and a savanna tree species (Caryocar brasiliense) that produces extrafloral nectar. We found fewer ants per branch and fewer species of ants per tree in juvenile than in reproductive trees of medium and large size. In addition, large-sized reproductive trees were more likely to host more aggressive ants than were medium-sized reproductive or juvenile trees. 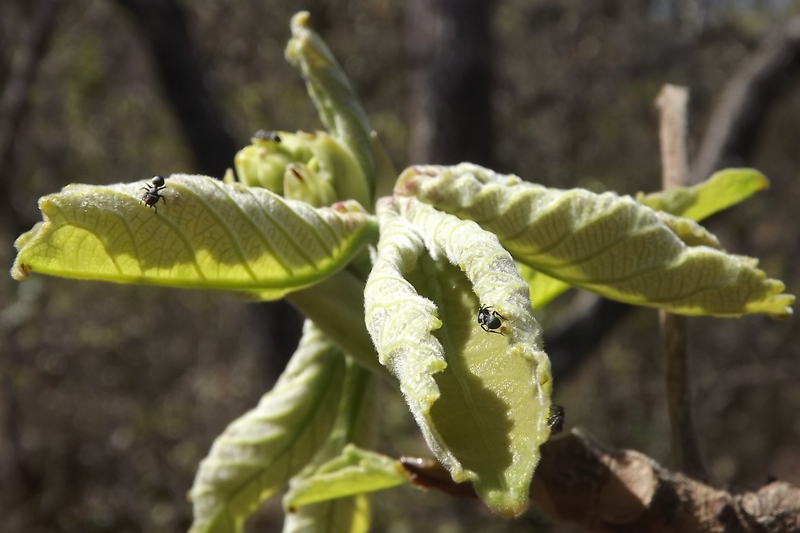 Such differences strongly affected the outcome of the interaction between ants and their host-plants, as the magnitude of the effect of ants on herbivory was much stronger for large trees than for juvenile ones. 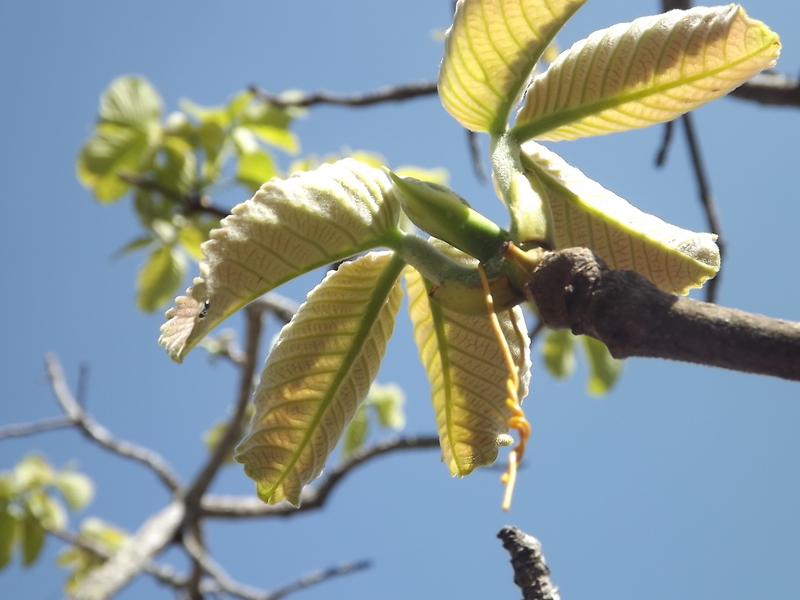 The fact that we did not find significant ontogenetic variation in the concentration of leaf tannins suggests that the observed differences in herbivory did not result from a differential investment in chemical defenses among different-sized plants. 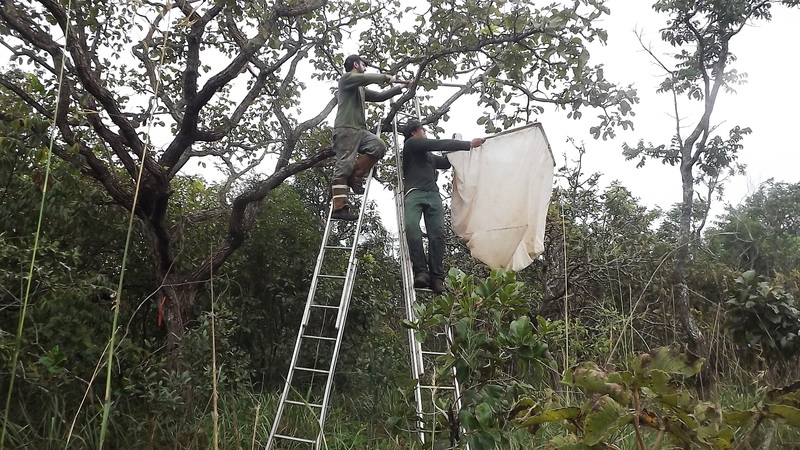 Overall, the results of our study indicate that the developmental stage of the host plant is an important factor of conditionality in the interaction between C. brasiliense and arboreal foraging ants.